Temple Parkour is an interesting horror map with a difficult parkour for MCPE 0.16.0. Can not say that here you will find a lot of levels but they are quite difficult, and not everyone will be able to pass them. You will have to pass difficult levels, each of which has something special, such as trampolines, Redstone mechanisms and much more. But in the end you will be given a variety of things, enchanted with the maximum level and your survival becomes a little easier. 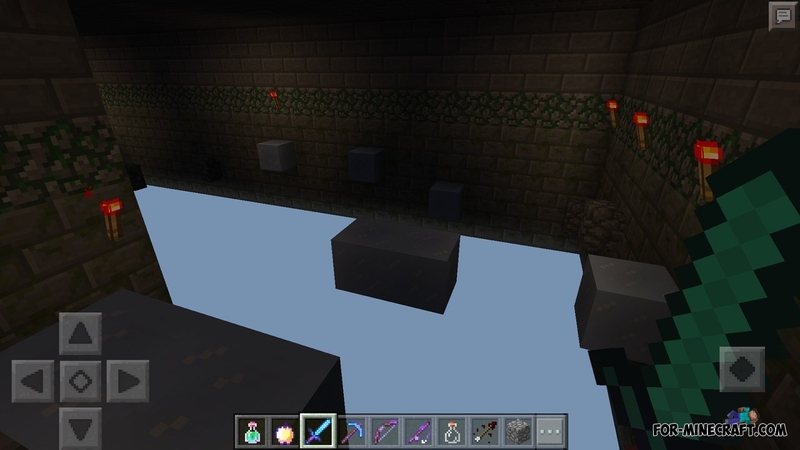 If you like parkour, but all maps are too easy, then definitely try to pass Temple Parkour map!